It’s no secret that the fashion industry needs to step up the game in terms of sustainability. The fabric dyes used in the textile industry are considered as a “necessary evil”. 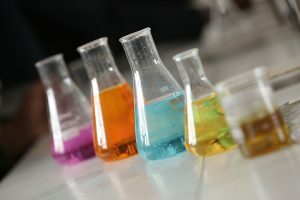 The dyes used in the textile industry are usually combined with water, which increases the amount of wastewater containing harmful, insoluble solvents. However, researchers are making herculean efforts to develop more sustainable and eco-friendly chemicals that can be used in the dyeing and finishing processes. Moreover, surge in research and development activities to develop sustainable chemicals and significant development in the apparel industry have boosted the growth of the textile chemical market. 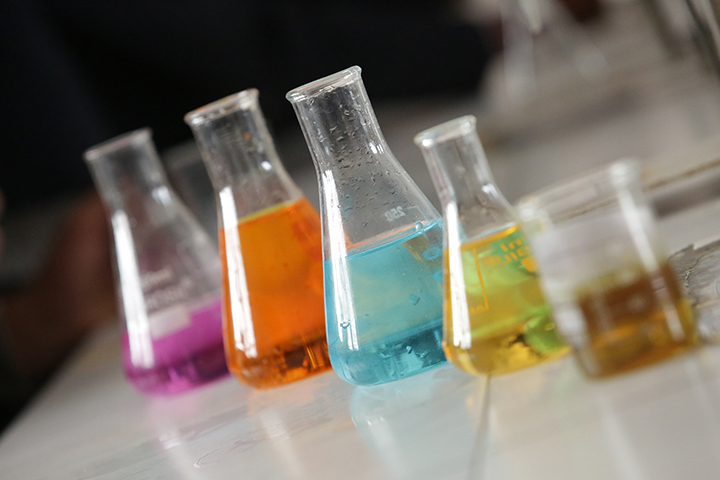 According to Allied Market Research, the global textile chemical market is expected to garner $27.56 billion by 2022, registering a CAGR of 3.4 percent from 2016 to 2022. Singapore-based Huntsman Corp. recently launched UNIVADINE E3-3D, an eco-friendly, next-generation diffusion accelerant. UNIVADINE E3-3D accelerant is low-odor and free from hazardous components such as benzyl benzoate. It is a part of Huntsman’s wide range of novel dyEvolution dyeing auxiliaries, which uses active diffusion technology to offer high-speed dyeing with best-in-class retarding, leveling, and migration properties. “The newly launched diffusion accelerant, UNIVADINE E3-3D, provides three major properties, including diffusion, leveling, and migration for outstanding performance and economic sustainability,” said Kerim Oner, global marketing manager for dyeing auxiliaries at Huntsman Textile Effects. “Moreover, its environmental credential offer factors greater flexibility and an optimum price-performance ratio.” Oner believes that the new offering would revolutionize the way textile chemical industry dyes polyester while meeting the stringent governmental standards. There are several types of research regarding how toxic textile chemicals led to skin diseases and respiratory issues among the factory workers and users, which gave impetus to develop new, allergen-free chemicals. Belgium-based Devan Chemicals recently introduced a novel technology to manufacture carpets, curtains, and other textile components for an allergen-free environment. The company’s Purissimo chemical is said to be a probiotic-based solution that can fight allergens. According to the company, the use of this new chemical can reduce about 92.8 percent of cat hair allergens. Thus, it can be incorporated in textile components that are used in public spaces such as school, hospitals, and libraries. Purissimo consists of inactive probiotic bacteria encapsulated into the microcapsule, which is then embedded into the textile products. Moreover, when subjected to friction, these microcapsules break and release the spores that transform the inactive bacteria into active ones and fight with allergens present in the textile products. Thus, with a remarkable reduction in the population of house dust mite, the new chemical can be an effective and preventive strategy to reduce allergic diseases caused by chemicals used in textile industry. The textile industry is at the dawn of a new era of white technology. White technology refers to the use of living cells and other enzymes to develop industrial products that are easily degradable, create less waste during production, and even perform better than the products developed using traditional methods. PILI, a France-based biotechnology startup, has been developing bridgeable dyes using sugar-munching microbes. Recently, PILI has announced closing a $3 million initial funding round that would help its fermentation technology to produce high-performance bio-based pigments and dyes. The technology can be applied to industrial processes to improve efficiency, performance, and sustainability. Most of the people never realize that the blue colored jeans that they wear are the biggest enemy of the mother nature. Recently, a team of energy bioscience researchers have found a “greener” way to manufacture blue jeans. Professor John Dueber and his team have used genetically modified bacteria such as E. coli and yeast to produce indigo color. Currently, indigo color is synthetically created using petroleum. The process involves the use of a variety of chemicals that are harmful to the environment and sea life. However, with the help of bacteria, the use of these hazardous chemicals can be eliminated, and the process could complete at a faster rate. Zach Russ, a bioengineering graduate that worked on this project, stated, “You can get indican from plants and turn it into indigo, which would remove the need for dangerous chemicals. One of the chemicals that are used to make indigo color is so hazardous that it can react with water and become highly flammable.” The team has offered a ground-breaking way to produce indigo using the white technology, which would make a significant impact on the textile chemicals industry. Editor’s Note: Bhushan Wankhade is a digital marketing specialist with Allied Market Research. He can be reached at bhushan.wankhade@alliedanalytics.com. For more information, visit www.alliedmarketresearch.com.